There's nothing quite like Christmas lights to get you in the holiday spirit. This is your guide to best holiday light displays around the Miami Valley. As thousands of Daytonians begin decorating their homes, Christmas wouldn't be complete without a trip to see one of these amazing holiday light shows. Check out these options as you make your holiday plans! Cost: Admission is $8. Children age two and under are free. Set in picturesque Countryside park, take a stroll through a fantasyland of holiday lights and displays along a half-mile wooded path - plus visit Santa in an authentic, historic log cabin every night through Christmas Eve. The kids will also enjoy the amusement rides, costumed characters, carriage rides, live animals and more. New this year is a laser light show, tunnel of lights, and a trackless train ride! Cost: $10 per person for everyone age 7 and older. Children 6 and under free. It takes 3 months to put up the 3.5 million lights that illuminating the historic mill, the gorge, the riverbanks, trees and bridges at Clifton Mill, and the result is truly amazing. Watch for the spectacular synchronized lights and music show that features the old Covered Bridge, every hour, on the hour. 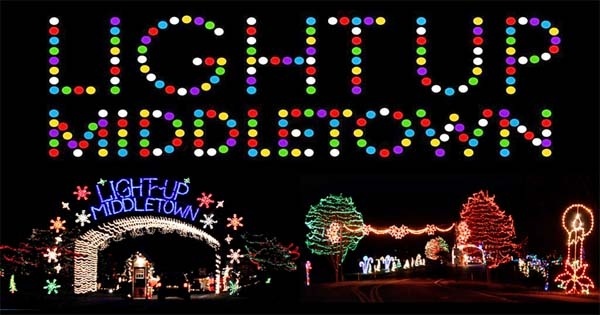 Light up Middletown is a driving tour through a 100-acre park open the day after Thanksgiving through New Year’s Eve regardless of the weather, including all holidays. Whispering Christmas features a spectacular drive-thru lights display with close to 2 million lights - and admission is free! But that's not all, stop by Santa's Cabin on Wednesday to Sunday (December 1-23) plus the entire week leading up to Christmas Eve. 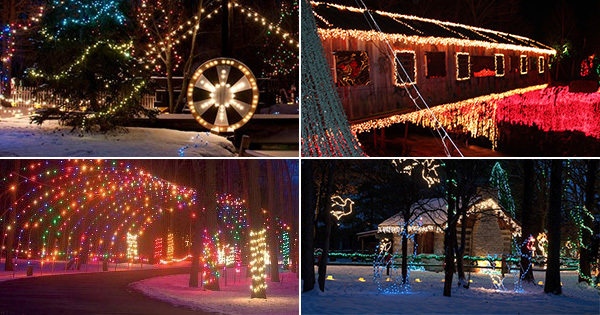 Just south of Dayton, enjoy a holiday lights drive-thru experience through a mile of festive light displays that wind through wooded hills of Sharon Woods. See everything from Santa Claus and his elves to Godzilla, all from the comfort of your own vehicle. For more Christmas and Holiday related activities and events, please visit our Christmas in Dayton calendar!